Book direct from www.designholidaysfortevillage.co.uk for Forte Village Sardinia and get unbeatable rates at the Forte Village in Sardinia, we are so confident of this that we will offer a price promise that we will never be beaten on price! * Inc 1/2 bottle of wine and mineral water when dining at the Pineta restaurant. 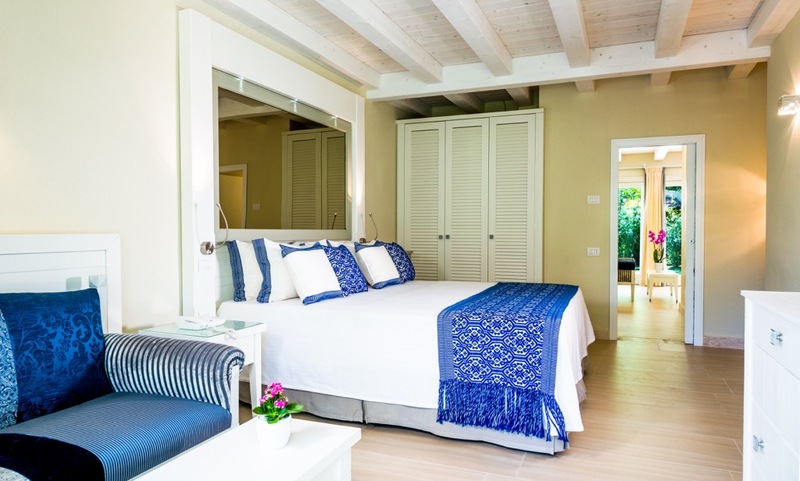 Our fantastic per person and family packages at the Forte Village in Sardinia include , Half Board Accommodation (inc 1/2 bottle of wine and mineral water when dining at the Pineta restaurant), Children’s Club but can also include transfers. Free Child places on selected dates. Please call our Reservations team on 01444 87 22 14. We are pleased to offer the best possible rates at the Bouganville deluxe family bungalows in Sardinia to include Half Board. 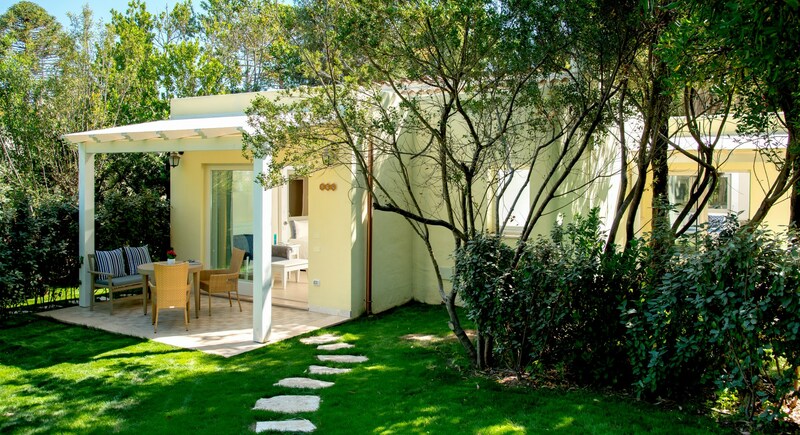 Partially hidden in the fabulous Forte Village among hedges, palm trees and multi coloured flowers, the 175 deluxe bungalows of the Bouganville are divided into Doubles and Family Bungalows and all come with patios. 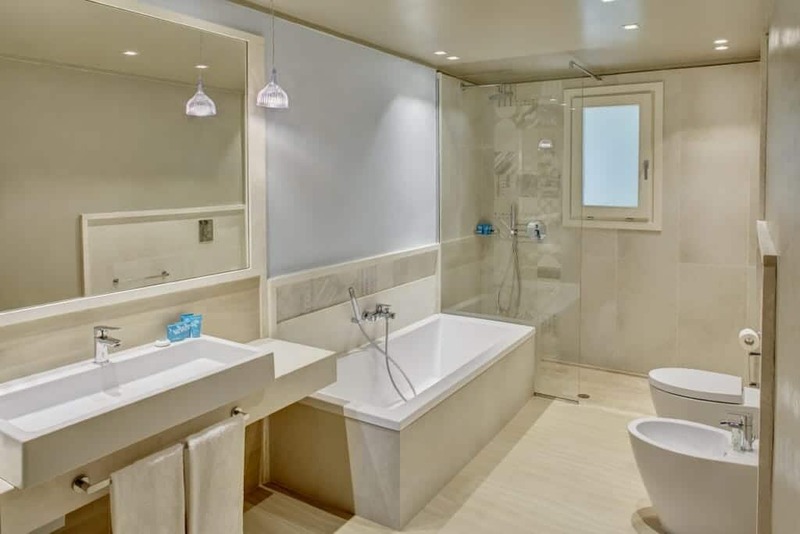 Every deluxe bungalow at the Bouganville features private bath with shower except the deluxe Family Bungalows, which come with a bathtub, air conditioning and heating, direct dial telephone, colour television with satellite channels, bar fridge and safe. Deluxe Family Bungalow : 31m² these rooms are beautifully concealed amongst lush hedgerows, tall palm trees and tropical flowers and are perfect for families. The Deluxe Family Bungalows have two interconnecting rooms (a living room with a sofa bed that opens out into two beds, a double bedroom), stunning bathroom with bath and separate shower. This type of bungalow is suitable for families of 2 adults with up to 2 children under 13 years of age. *Barbie™ themed child’s accommodation is available to buy as a package on request. Deluxe Family Play Garden Bungalow : With a total area covering 31 sq m, these Deluxe Family Play Garden Bungalows have 2 separate rooms – a living room with a sofa bed that opens out into two beds, a double bedroom and bathroom with bath/shower. Outside there is an outdoor private play area consisting of a wooden deck filled with toys where children can play safely. Bouganville guests at Forte Village are served breakfast at the side of the Oasis swimming pools, and the Pineta buffet restaurant is reserved for dinner (inc 1/2 bottle of wine and mineral water when dining at the Pineta restaurant). Every one of our 175 Bouganville bungalows provides comfort you’ll love, whether you’re on a romantic getaway or a relaxing family holiday. You could choose from any of our grand bungalows designed specifically for families, each with its own patio. Our Family Bungalows present a number of features to make your stay comfortable including satellite TV, telephone, free Wi-Fi, bar fridge, a bath tub, heating, air cooling systems, and safe. Our other bungalows feature a private bath and shower and all bungalows have patios. Please rest assured you’ll be offered ideal rates for any Forte Village Bouganville Bungalow you choose including the option of half board. For a family of four, a one week stay at any of our Deluxe Bungalows costs between £1679 and £2212 with half board. You’ll have the Pineta restaurant reserved for you, with mineral water and half a bottle of the finest wine inclusive, free Child Places and 15% off Adult Places on particular dates. Forte Village Bouganville Bungalows are a 49 minute drive from the Cagliari Elmas Airport. You’ll go through Via dei Trasvolatori, Strada Statale 195 Sulcitana in Capoterra, Strada Statale 195 Sulcitana and Viale delle Nereidi before you get to Forte Village Resort. 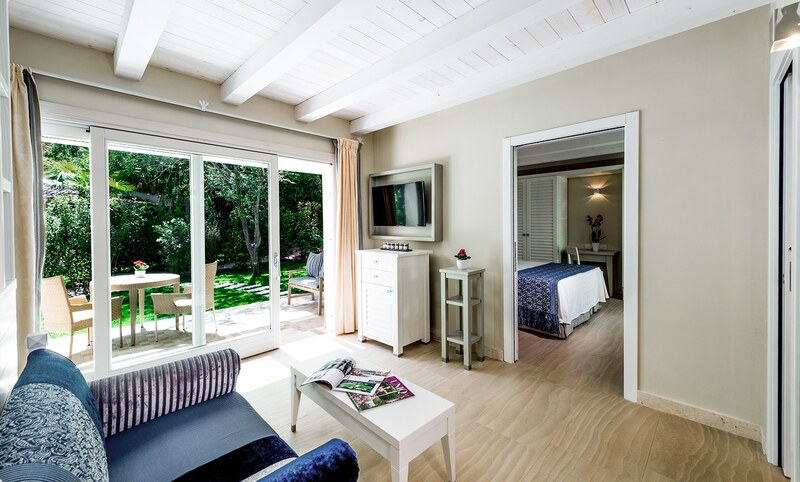 To get outstanding prices for a splendid Forte Village holiday, book directly from www.designholidaysfortevillage.co.uk. You may also call (+ 44) 01444 87 22 14. We are certain you’ll love our unbeatable prices.